Info & Snow offer a wide range of snow packages to all the ski fields in the region – Remarkables, Coronet Peak, Cardrona and Treble Cone. Choose from flexi, beginner and lesson packages. Click to find out more. Bundle up your ski necessities for Remarkables. Transport, ski pass, equipment, clothing. Pick and choose what you need and when you want it! The Perfect Packages for complete first timers wanting to experience the snow at Remarkables. Beginner area access, lessons, equipment and return mountain transfers are all included! These are for second timers through to advanced skiers and snowboarders. Make the most of your day at Remarkables with two lessons, full mountain ski pass, equipment and return mountain transfers. Bundle up your ski necessities for Coronet Peak. Transport, ski pass, equipment, clothing. Pick and choose what you need and when you want it! 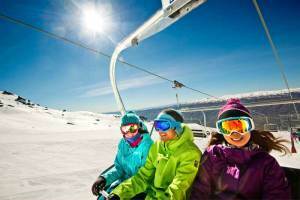 The Perfect Packages for complete first timers wanting to experience the snow at Coronet Peak. Beginner area access, lessons, equipment and return mountain transfers are all included! These are for second timers through to advanced skiers and snowboarders. Make the most of your day at Coronet Peak with two lessons, full mountain ski pass, equipment and return mountain transfers. Bundle up your ski necessities for Cardrona. Transport, ski pass, equipment, clothing. Pick and choose what you need and when you want it! The Perfect Packages for complete first timers wanting to experience the snow at Cardorna. Beginner area access, lessons, equipment and return mountain transfers are all included! These are for second timers through to advanced skiers and snowboarders. 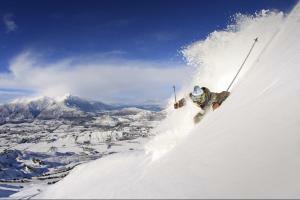 Make the most of your day at Cardrona with a lesson, full mountain ski pass, equipment and return mountain transfers. Bundle up your ski necessities for Treble Cone. Transport, ski pass, equipment, clothing. Pick and choose what you need and when you want it! The Perfect Packages for complete first timers wanting to experience the snow at Treble Cone. Beginner area access, lessons, equipment and return mountain transfers are all included! These are for second timers through to advanced skiers and snowboarders. Make the most of your day at Treble Cone with a lesson, full mountain ski pass, equipment and return mountain transfers.